An almost full St Andrews Church enjoyed an exceptional concert on Saturday, 8 October when the Dante Quartet performed three quite different works. This group of four experienced and highly talented musicians is renowned for the quality of its performances and has received many awards and accolades since its formation over 20 years ago. The first work performed was Beethoven’s String Quartet in A Minor, Opus 132, a substantial piece written towards the end of his life. It is a long piece, lasting about 45 minutes and contains a variety of moods and tempos that end in a jovial final movement that contrasts with what precedes. The capacity of the musicians to handle the piece was evident throughout this work and it was well received by the appreciative audience. The second work was a considerable contrast. Mendelssohn’s String Quartet in A Minor, Opus 13 was an extraordinary work with some similarities to Beethoven’s use of recitative style, but extraordinary because the composer was still a teenager when he wrote it. The early death of this composer must have robbed us of much unwritten music that would have delighted the world. And then the audience heard another Beethoven quartet, the String Quartet in F Major, Opus 135 – Beethoven’s last complete work before his death in 1827. So, was this work full of foreboding? Not a bit – it was joyous and, in parts, light-hearted. 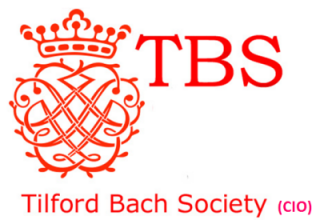 To have these three fascinating quartets all in one concert, played by the superb performers that comprise the Dante String Quartet, was a treat that was greatly appreciated by TBS music lovers. Winner of the prestigious Royal Philharmonic Society Award for chamber music in 2007, the Dante Quartet is known for its imaginative programming and the emotional intensity of its performances. The group was founded in 1995 at the International Musicians Seminar at Prussia Cove, Cornwall, and chose the name of Dante to reflect the idea of a great and challenging journey. The Dante Quartet has played at all the major concert halls and festivals in the UK and has also appeared in France, Holland, Germany, Spain, Finland and Poland. 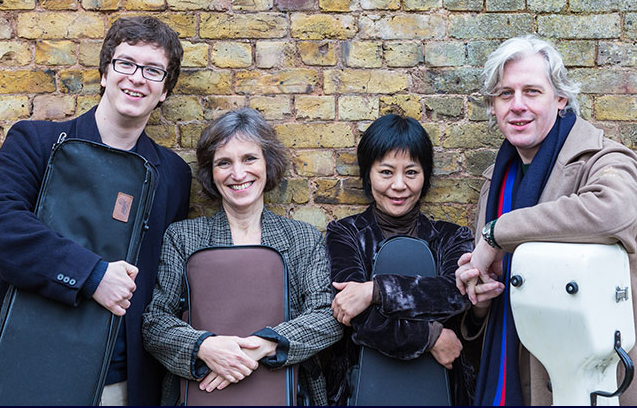 Later this year the quartet will make its first tour of Japan, and is about to undertake the extreme challenge of playing Beethoven’s complete quartet cycle in one weekend (Artrix, the Beethoven Quartetfest). In 2008 the Dante Quartet’s Hyperion recording of Franck and Fauré’s string quartets attracted unanimous praise and was honoured with a BBC Music Magazine Award in the UK and a Diapason d’Or in France. The quartet’s Hyperion recording of Sibelius and Smetana’s string quartets was chosen as Chamber Choice in the BBC Music Magazine in July 2011, and their CD of Kodály’s string quartets, Chamber Choice in March 2014. The Dante Quartet has recently started recording Stanford’s unknown string quartets for SOMM Records: the first of these CD’s will be released in November. From 2007-14 the quartet held a residency at King’s College, Cambridge, where they gave master-classes, collaborated with the renowned King’s College Choir and created unusual concert programmes interlacing music with readings from literature. 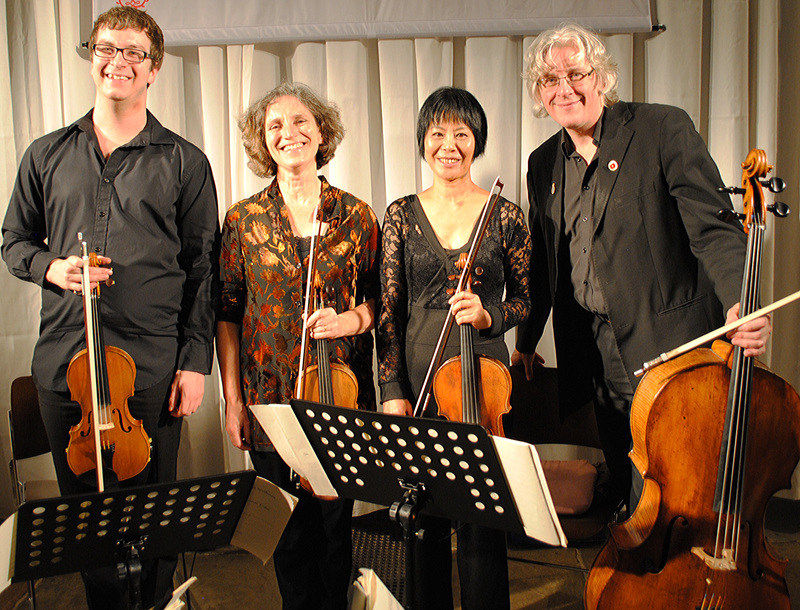 The quartet enjoys working with students and runs its own chamber music courses in France and in Cornwall. The Dante Quartet also has its own thriving festival in Cornwall which attracts local audiences and visitors from all over the UK to listen to chamber music in ancient churches and rural barns (www.dantefestival.org).